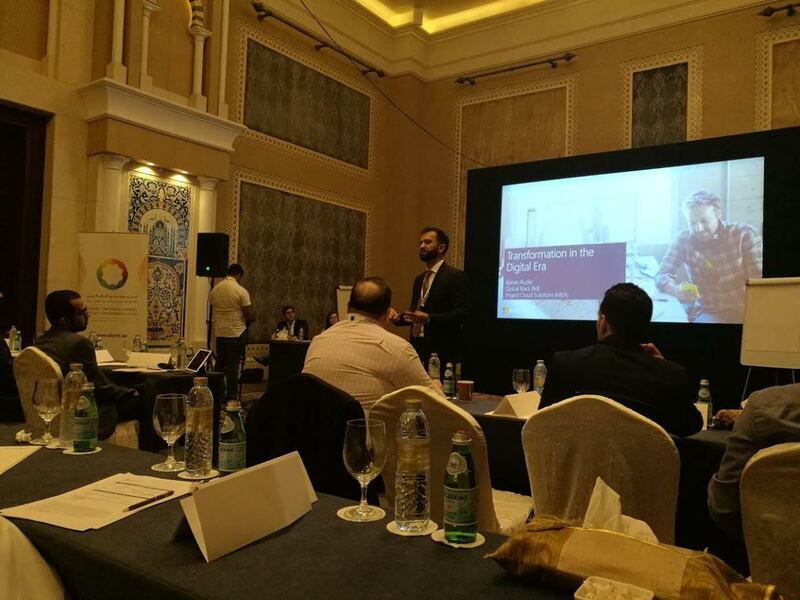 Dubai, United Arab Emirates: Microsoft Gulf acted as the exclusive technology partner for the Dubai International Project Management Forum (DIPMF) 2016, which took place from October 22nd to 25th at the Madinat Jumeirah, Dubai. The four-day summit was held under the patronage of His Highness Sheikh Hamdan bin Mohammed bin Rashid al Maktoum, Crown Prince of Dubai and Chairman of the Executive Council. The forum brought together project pioneers and specialists from across the globe to discuss the issues facing programme leaders in the region. More than 1,500 delegates from the GCC, Europe and Africa, attended the event over the four days. Speakers included Mark Langley, President and Chief Executive Officer of the Project Management Institute, and several UAE government ministers, business leaders, and academics, such as H.E. Eng. Suhail Al-Mazrouei, Minister of Energy; H.E. Dr. Thani Al-Zeyoudi, Minister of Climate Change and Environment; H.E. Mattar Al-Tayer, Director General and Chairman, Dubai Roads and Transport Authority (RTA); H.E. Saeed Al-Tayer, Managing Director and Chief Executive Officer, Dubai Electricity and Water Authority (DEWA); H.E. Mohamed Alabbar, Chairman, Emaar Properties; and H.E. Dr. Mansoor Al-Awar, Chancellor, Hamdan bin Mohammed Smart University. In addition, Microsoft’s MEA, Director of Project Portfolio Management(PPM), Bishan Ruder, delivered a two-hour workshop on how Microsoft Project Online can serve as a key solution for project offices. Microsoft Project Online is a flexible cloud solution designed specifically for project portfolio management (PPM) and every day programme work. Delivered through Office 365, Project Online enables organisations to get started easily, to prioritise investments and to deliver astounding business value, from virtually anywhere, on any device. Microsoft Project Online offers project leaders the opportunity to sign up for the service that best fits the needs of their portfolio; enjoy enterprise-grade reliability and zero up-front infrastructure costs; add teams and projects within minutes, through a powerful Web-based portal; and gain instant insights about their portfolio, with new point-and-click reporting capabilities. Project Online also benefits from the collaborative power of Office 365. Project managers can strengthen team cohesion using the social tools of SharePoint Online, Yammer and Skype for Business, which facilitate discussions, information sharing, and the team’s ability to get work done. In addition, leaders will be able to easily follow the activities of people, sites, tags, and documents using SharePoint Online. SharePoint Online also comes with potent search capabilities that allow leads to have the right information at their fingertips, and robust security features allow organisations to confidently share information and collaborate with trusted business partners. Project Online, together with the integration to Microsoft’s Power BI advanced analytics delivers business insights that can become the right hand of project leaders when it comes to making data-driven decisions. Dashboards and multi-dimensional visualisations put the manager in touch with every aspect of a project at a glance, giving unprecedented control of even the most complex portfolios.